Are you looking for flooring for commercial kitchens? Commercial kitchen epoxy floor coatings are a highly durable surface suited for heavy traffic and aggressive use. What some people do not know is that epoxy flooring does not stand up to thermal shock. Therefore if you have fryers in your kitchen and or clean your commercial kitchen flooring with steam or hot water it will not hold up. Epoxy floors will begin the process of breaking down and delamination very quickly. 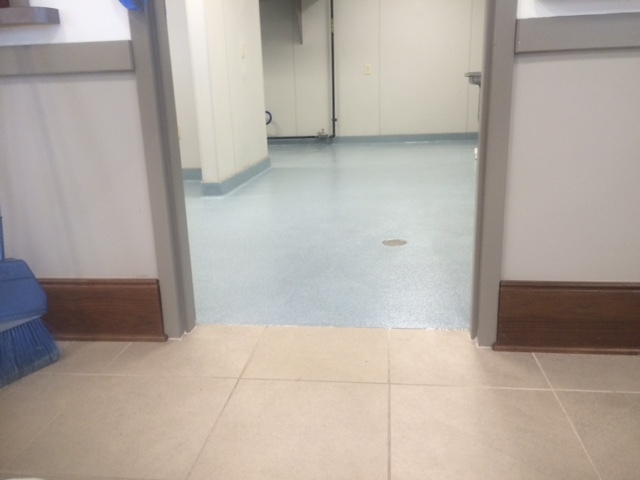 Urethane mortar flooring systems are most often used in commercial kitchen flooring or other areas where a heavy industrial surface is needed for durability. Cementitious mortar floor topping cures more quickly than epoxies and have a matte or satin finish. They are highly durable, suited for heavy traffic and aggressive use. They are chemically superior to epoxy, have slip resistant textures for wet surfaces. Urethane cement flooring will withstand thermal shock up to 220 degrees fahrenheit and 100 degrees below zero. They are odorless and non-toxic with zero VOC formation. TKO Concrete, Nashville, Tennessee specializes in epoxy, epoxy quartz and urethane mortar flooring systems. Call today for a free quote on your commercial kitchen floor 615-414-3727 or click the following link to visit their web-site.